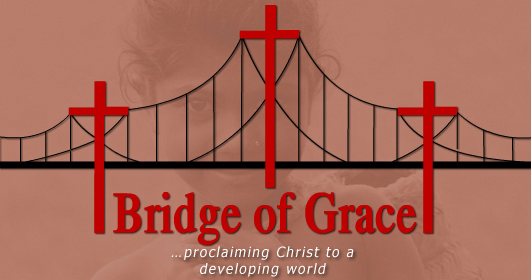 What is THE Bridge of Grace? This is more than just a logo depicting our desire to build a bridge to people around the world, it symbolizes how Christ built a bridge to reach the world. Imagine yourself on one side of a gapping canyon. Across the expanse you can see God and heaven on the other side. But there is no way to cross this gap in your power. Many try to cross it through being good or being a church member but it is too wide, too high, and utterly impossible to attempt to cross without losing your life. The gap exists because of our sin. Every human being is a sinner. Just as attempting to cross the gap in our own power would mean death, our sin results in death which is eternal separation from God in hell. God desires for us to join Him and provided a way to cross this gap through his Son, Jesus Christ. He loved you so much He gave His only Son, Jesus, to bear your sin and die in your place on the cross. Although we cannot understand how, God says in the Bible that my sins and your sins were laid on Jesus and He paid the penalty for our sin and bridged the gap between God & man. To cross this bridge to God we must recognize Jesus Christ as our Lord and Savior and receive His gift of salvation. He is calling us to come to Him and step across the bridge of grace He has provided. Will you pray to accept His free gift and know for sure that one day you will be with him in heaven? I know that I am a sinner and need Your forgiveness. There is no way I can save myself. I believe that Jesus died for my sins and took my place to save me from my sins. I invite You to come into my heart and life and make me a new creation in Christ. I accept your gift of salvation. Take complete control of my life. Thank You, Lord, for saving me. In Jesus’ name, Amen. 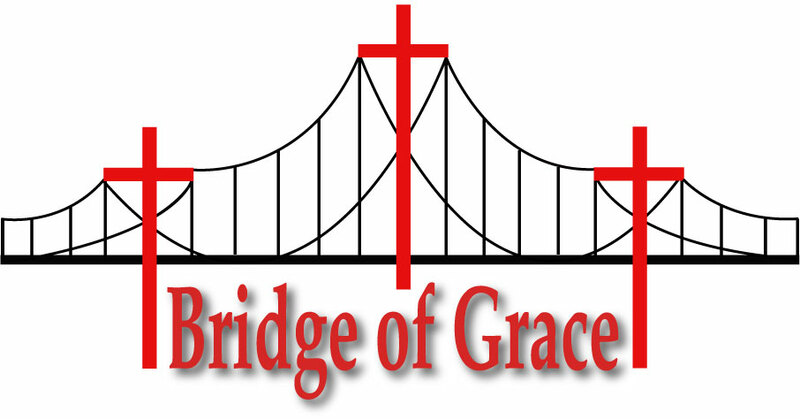 Developed by: e-2-D.com Copyright © 2007 Bridge Of Grace Organization. All Rights Reserved.